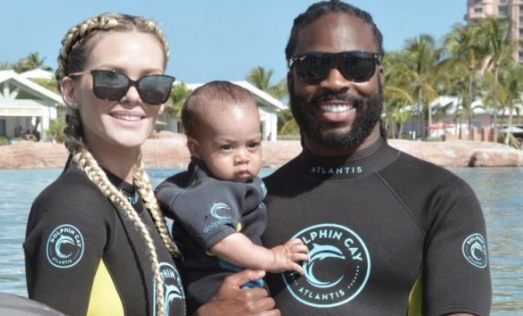 Fans of the athlete Jahleel Addae have urged him to examine his views on race and motivations behind his relationship with his wife after he posted a video celebrating the fact that his children are light-skinned. Thousands took to Twitter to unpack the athlete’s message. Jahleel addae and them other ‘black men’ have reached a level of coconut, 🥥rarely ever seen before 📈. Table full of white women 👱‍♀️👱‍♀️👱‍♀️ toasting to lightskinned babies 😖.. Smh imagine what his mum and aunts are thinking deep down 🤦🏿‍♀️🤦🏿‍♀️. He needs to check his BM for real. Addae has now placed his Twitter account on private mode. It’s always the ones that look like him making comments about his own race like that. Self hate is a deadly disease. Oh, and if you didn’t have that football 🏈 contract, Becky wouldn’t be on your arm or reproducing with you clown. The self drag of it all. 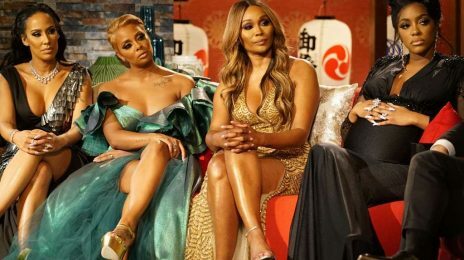 How much do you have to hate yourself that don’t find your OWN features attractive, to where you feel you have to go out of your way to make sure your kids don’t look like you? Pathetic. And cheers to the white girls for goldigging and taking these bozos off of a black woman’s hands. One less trifling man in our dating pool. 👍🏾 Keep it up. You’re doing great. Disgusting. I doubt their apology would even be sincere, so I don’t think anyone should expect one. They are a bunch of ridiculously ignorant people. Please stop giving men with low IQs any attention please. 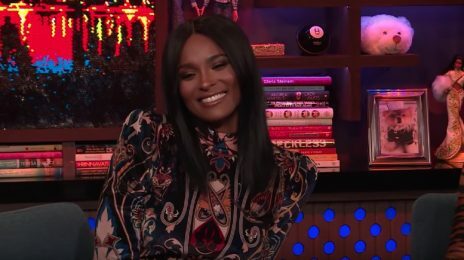 Ciara’s Greatest Love is giving me so much life right now. So black folks can have alllll kind of jokes about light skinned guys… how they’re not in style… how they’re emotional… how they dress a certain type of way.. how they do this and that…. but as soon as a guy who has light skinned children and cheers them and the ones to come it’s a problem? It’s very sad. Black folks literally pick the weakest things to focus their energy on. Ok dear. Don’t hurt yourself now. Another self drag. “Black people pick the weakest things to focus their energy on”. But most people here are unpacking topics of colorism, self hatred, and anti-blackness and what’s occupying your mind is JOKES you’ve heard about light skinned people?? Lol. How is that significant? That’s not even racist/colorist adjacent. Lmao, sis the only person focusing on weak concepts is you. They have self-hate issues about their own skintone or look down on other’s skin tone to deal with their own insecurities and feel better. There is ALWAYS somebody who when a situation is Black and White, brings something unrelated into it, to deflect. Instead of being quiet and listening to others, they just have to “say something”. These are the same types to say “Everybody is too sensitive these days”, when people are being disrespectful. They’d excuse a r*** joke until it was made by their sister’s ex boyfriend. Very hypocritical, reductive people who have nothing to add to a conversation. The kind of person when they speak, you literally have no reply as they just want to say something because they felt people were making too much sense. Leave the child out of it. They should not be shamed for what their parent’s genes predisposed them to look like. Trying to be fair. Then why there’s one talking s*** about Serena Williams and her kid? .black females white men adore you ……ill keep your secrets black women…..I know what you and them white boys do.. 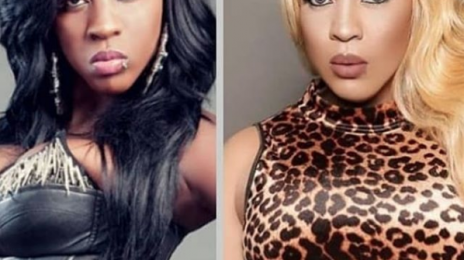 The Dancehall icon Spice broke the internet yesterday when she unveiled her “new look” to confused fans on Instagram. Sporting white skin and a blonde wig, the performer led supporters to believe that she had undergone a horrific bleaching process to destroy her G0d-given melanin.